The city of Chicago plays a major role in Wench Favorite, Chloe Neill's Chicagoland Vampires series. I am fortunate enough to call Chicago my hometown. I grew up in the city and, aside from four years of college, have lived in the Chicago area my whole life. Much like Merit, I love my city. In my admittedly biased opinion, Chicago is the best city in the world. And I'm here to tell you a little more about it, to give you some visuals and history of some of the places Merit and company visit over the course of the books. Before we jump into the CLV world, let me tell you a little bit about Chicago in general. Chicago is the third largest city in the U.S., with close to three million people within the city limits. Contrary to the belief of some, however, Chicago is NOT the capital of Illinois. Though it is, without a doubt, a very influential force on the rest of the state. Our mayor is Rahm Emanuel, who, quite honestly, reminds me quite a lot of Seth Tate. Chicago has been the host to two World's Fairs, 1893 and 1933. Several of the buildings built for the 1893 fair are still in use today. They house the Field Museum, the Art Institute of Chicago, and the Museum of Science and Industry. We also had a fire in 1871 that leveled several miles of the city. But some say that it was the best thing to happen to the city, because we basically got to rebuild from scratch. We also have professional basketball teams, both men's and women's, a football team, a soccer team, two baseball teams, and the current Stanley Cup champions in hockey. Our current president, Barack Obama, also calls Chicago home. His home is in Hyde Park, the same neighborhood as Cadogan House. We have over 200 active theatre companies. Among the numerous theatres are the world-renowned Second City, Steppenwolf, and the Goodman. The Chicago area is the home of McDonald's, Boeing, Chase, Gatorade, Groupon, MillerCoors, Orbitz, and many other familiar names. Chicago is also home to the South Side Irish parade. Usually held on the Sunday before St. Patrick's Day, the parade takes place in the neighborhood where I grew up, Beverly Hills. It was once considered one of the largest St. Patrick's Day celebrations outside of Dublin. We even have a song. 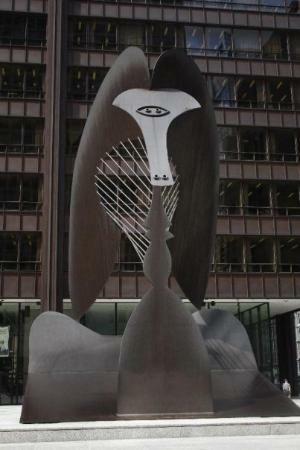 Chicago features some unique works of art. For one summer, there were cows. Yes, cows plural. Here are a couple of examples. And, finally, my personal favorite opinion fact, Chicago has the most beautiful skyline in the world. OK, now that you've got some general info about Chicago, let's move on to the fun stuff! Keep reading about the places and things mentioned in Merit's world after the jump! Here's a little background information on the neighborhoods (and one suburb) of Chicago that Merit calls (or called) home. Merit and Mallory's home in Wicker Park has a history dating back to the Chicago fire of 1871. People whose homes were burned down by the fire moved North and West to this area to rebuild. In the 1940s and 50s, the neighborhood became known as Polish downtown, as scores of Polish immigrants settled there. Then in the 60s and 70s, the area had an influx of Puerto Ricans and a big uptick in crime. Wicker Park was actually the original home to the Latin King gang. But through work with city officials and the neighborhood residents, Wicker Park has become a haven for artists and college-educated young workers. Forbes Magazine named Wicker Park to the #4 spot in their Hipster neighborhood feature. While I don't necessarily think Merit and Mallory are hipsters, I do think this is a great neighborhood for them. Mallory and her blue hair and Merit's love of the arts would feel right at home here. But since Wicker Park is 25-30 minutes away from Hyde Park and Cadogan House with no traffic, it's understandable that Merit would be expected to move into the House. If you ask me, Hyde Park is the perfect place for a house full of vampires. Hyde Park is located on the south side of the city, about halfway between the downtown area and the edges of the city limits. It is one of the most liberal neighborhoods in the city. So it would be the most accepting of a house full of vampires. It's also home to Merit's would-be alma mater, the University of Chicago. Hyde Park is one of the richer areas of the city, at this point anyway. Hyde Park has a little bit of a spotty history. Because of its location on the south side, it has gone through a few socio-economic changes since the 50s. More often than not, it has been a relatively wealthy area. However, it went through a period of downturn, especially in the 50s and 60s, with the "white flight", the mass exodus of white families to the suburbs. But the University of Chicago spearheaded an urban redevelopment program to demolish and rebuild the neighborhood. Slowly but surely, they returned to a wealthy upper-class neighborhood—the perfect place to hide Peter Cadogan's enormous wealth, without standing out. Hyde Park is also one of the most racially diverse neighborhoods in the city; what's one more race, even if vampires aren't exactly the most revered? But no matter what the status of the neighborhood is, vampires should feel at home there. Hyde Park also has its share of historical homes. The U.S. Soccer House (above), while not in Hyde Park, is the one Ms. Neill pictures as Cadogan House. Oak Park, like much of Chicago, is full of historical homes and buildings. 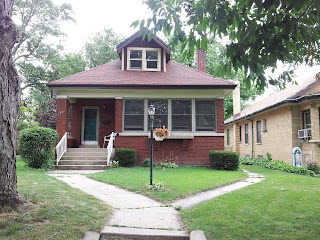 Many of the historical homes in that town (yes, Oak Park is technically not in the city), were built by or inspired by famed architect Frank Lloyd Wright, who grew up in that area. Oak Park is, overall, a relatively wealthy area. So, it's no surprise that Joshua Merit chose it to build his home in. It's close to the city, without actually being in the city, and there have been tons of construction and building up of that area for the last 15 years or so. It's perfect for a real estate mogul, even if it is adjacent to a not-so-good area of Chicago. Oak Park also has a very active arts community. So Merit, the former dancer, would have found lots of studios and productions to get involved with. And Chicago's famed El has several stops in Oak Park, so traveling into the city for classes or performances would be a breeze. But the most important aspect of Oak Park, in Merit's eyes anyway, would have to be the Ernest Hemingway Museum and his boyhood home. I know her focus wasn't in that time period, but that's a selling point for any literature nerd, no matter your style preference. Oak Park is a lovely little village. The first apartment that my husband and I shared together, right out of college, was in neighboring Forest Park. We've loved Oak Park ever since then. Someday, if we can ever afford it, that is where we'd like to buy a house. I'm a city girl and he's a suburb boy, so Oak Park is the perfect mixture. Oak Park also has the above architectural gem. 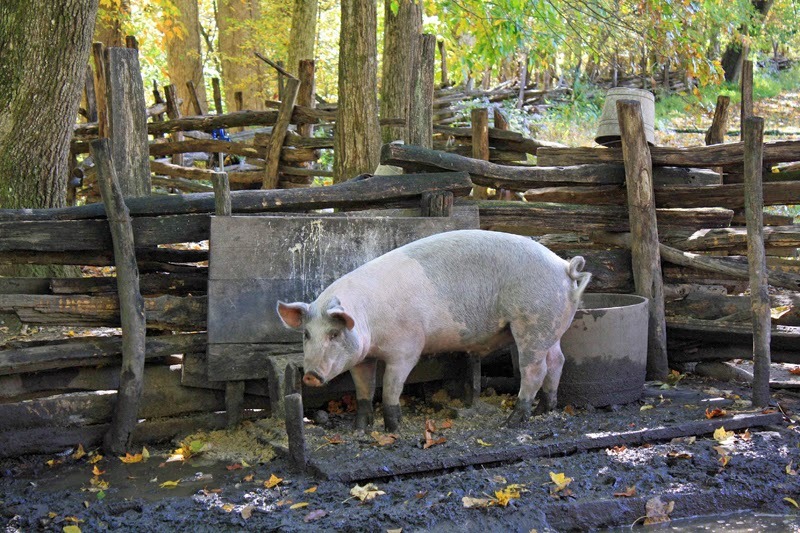 This is what I picture whenever Merit takes about her parents' house. It's never specifically stated where Chuck Merit's house or (former) office is located. Just that it's on the south side of the city. So being a South-side girl, I drafted my home neighborhood, Beverly Hills, to be Chuck's home as well. I may be a tad biased here, but Merit says that she always felt at home at her grandfather's house. That is the feeling that Beverly gives off, whether you live there or not. It is really a small town within the city. Several generations of families, my own included, have called Beverly home for their entire lives. The house my grandmother grew up in is about a mile from the house where I grew up and the rest of my family still lives. The house my dad grew up in (where my other grandmother still lives) is two blocks over from my parents' house. That's the kind of place Beverly is. When I visit my parents, I still get waves from neighbors and, without fail, if we go out for dinner in the neighborhood, we'll see a friend, classmate, former coach, teacher...someone I know. So besides the love between Merit and Chuck, you can see why Merit would feel at home in Beverly. Beverly is also home to a large number of historic bungalows, one of which Chuck lives in. Personally, I think Chuck's house looks like the one in this photo. Why you ask? Honestly, this is my grandma's house, and it is just how I pictured Chuck's house, since he is Merit's grandfather—no matter how unusual a grandfather he might be. The other places and sites that Merit visits in her travels. 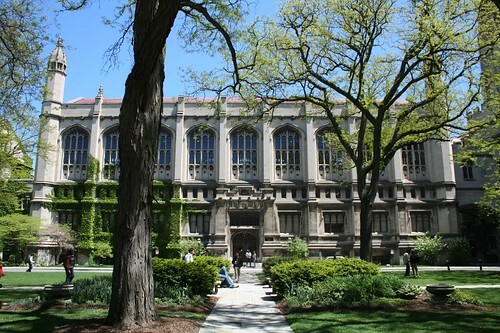 The University of Chicago is a private research university with approximately 15,000 students. It has both an undergraduate and graduate program. As well as a medical school, a law school, and a business school, among others. Our beloved Merit would have been enrolled in the Humanities department. And even if her father is a city big shot, being a PhD candidate at the University of Chicago is no small feat. US News & World Report ranked the University of Chicago as the #4 school in the country. The university is affiliated with 87 Nobel Laureates (8 of whom are current faculty members), 49 Rhodes Scholars, and 9 Fields Medalists. Our Merit has a lot to be proud of, even if she didn't get to finish her degree. 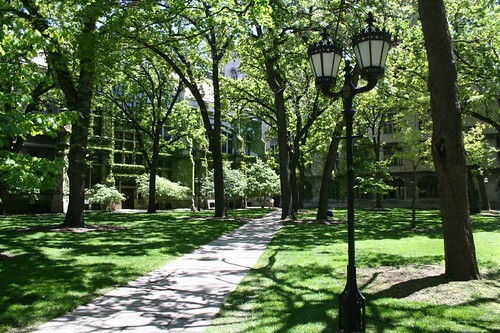 The U of C also has an absolutely beautiful campus. The architecture is gorgeous and the campus is nicely laid out. It is would be a lovely place to go to school, even if you do get attacked by rogue vampires on the Quad. Of course, every school has a bit of a sordid history. Unfortunately, the U of C's is a little more grim than most. The U of C is where the first man-made, self-sustaining nuclear reaction was achieved. It was also a large contributor to the Manhattan Project, which we all know created the first atom bombs. Technically, Wrigleyville is also a neighborhood. 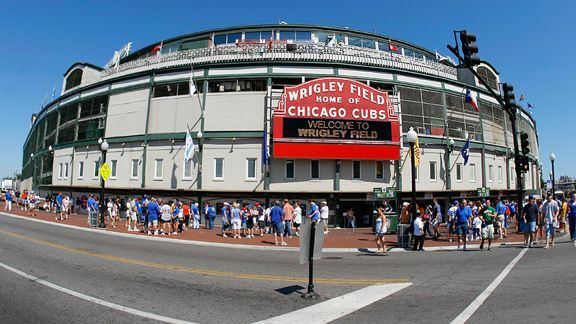 It is the neighborhood immediately surrounding Wrigley Field, where Merit's beloved Cubs play. But since the Cadogan vamps go only to the bars there, I'm going to talk only about the bar scene in Wrigleyville. That's basically all Wrigleyville is anyway. There are some residences, Wrigley Field, and bars. There is a real Temple Bar in Lakeview (the neighborhood next door), but it's not quite the one described in the books. The bar closer to that description is the Cubbie Bear or John Barleycorn. Both are chock full of Cubs memorabilia and attract the post-game Cubs fan crowd. John Barleycorn, in particular, attracts a 20- & 30-something, attractive, fashionable crowd. Personally, the Wrigleyville area is not one of my favorites of the city. I can see why people (or vampires) would want to hang out there. It's a young, trendy area with a lot of bar options, and it's close to public transportation if you drink a little too much to drive home. But I'm a White Sox fan, so I have little interest in the Cubs crowd. And I'm not what you'd call trendy, so I don't really fit in well with the John Barleycorn crowd. They do have good food though! It is a little far to travel from Hyde Park if you want to go only to the bar though. On a no- traffic day, it'll take you 25 minutes or so from Hyde Park. And parking in that area is a complete disaster, especially on a game day. You can spend another 20–25 minutes looking for parking. Which is another reason for hanging at Cadogan House instead! Lincoln Park is a huge, 1200-acre park on the shore of Lake Michigan, on the North side of the city. It stretches for seven miles and is the 2nd most visited park in the U.S. Lincoln Park contains several beaches, museums, gardens, animal sanctuaries, and harbors, a theatre, and most famously, Lincoln Park Zoo. Lincoln Park Zoo is open year round and is free to the general public. I've been there many times, and it is a really great zoo (despite one traumatic incident where a gorilla tried to attack me when I was a child). The best beaches in Chicago are also contained within the Lincoln Park boundaries. The best beach in the city is North Avenue beach. It has the most lifeguards (a must with Lake Michigan's penchant for undertows), it has the best beach house, and it is home to the Chicago Air & Water Show every year. But most important, to this piece anyway, is the North Pond Nature Sanctuary, site of Celina's attempted strike against Ethan, and Merit's first chance at strutting her Sentinel stuff. And Diversey Harbor, scene of the Friday Night Bites finale. The North Pond was established to restore some native ecology to the area—mostly prairie, savanna, and woodland plants— which encouraged the return of migratory birds like herons, various species of ducks, sparrows, and woodpeckers. You can also spot a few beavers in the area now and then. It is a beautiful area of the city. Diversey Harbor is one of the three harbors situated within Lincoln Park. It is also the only one with a public launch. Making it easy to explain your presence at night. 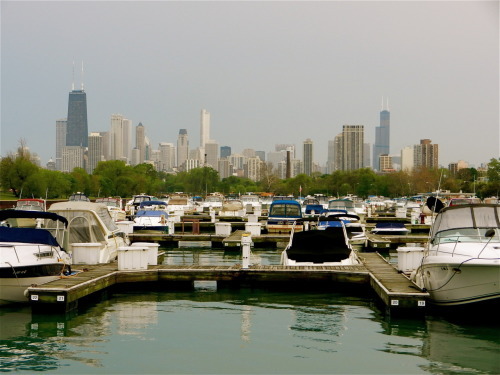 Diversey Harbor also has a yacht club that offers fishing, diving, racing, cruising, and socializing for its members. Just like Merit, I love libraries. I love the smell of them, the atmosphere, curling up in a corner to peruse a new book, I love it all. So the Harold Washington Library is one of my favorite places in the city. It is a beautiful building inside and out. It even has a sort of solarium, called the Winter Garden, that can be rented out for social functions. 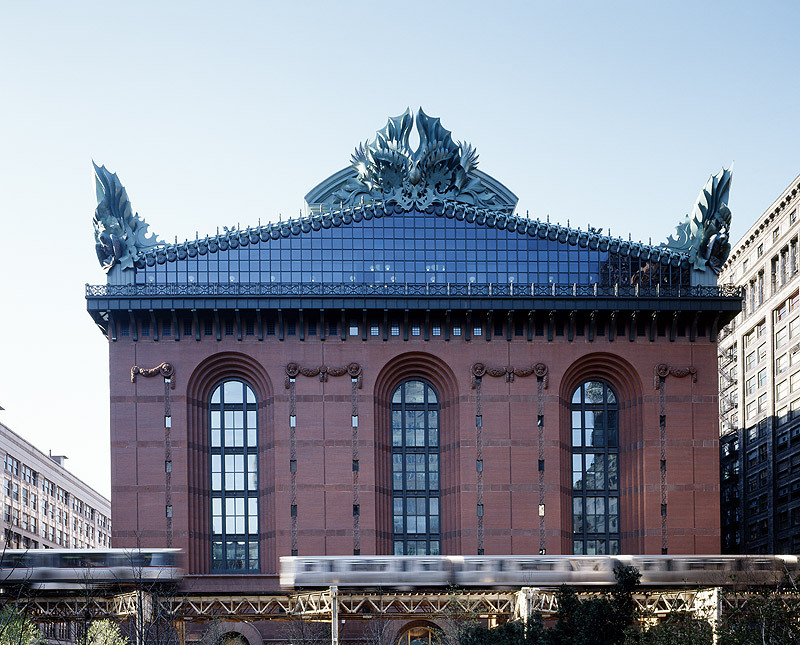 The Harold Washington is the main library in the Chicago Public Library system and is also one of the largest public library buildings in the world. 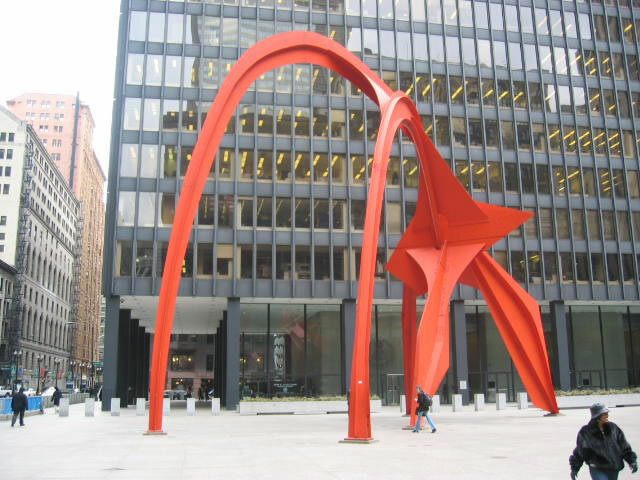 It also contains a public art collection that spans nearly every artistic medium and recognizes the major art movements that Chicago has been associated with. It is the city's largest public art collection to date. The roof sports the building's now iconic owls in seven different locations, making the building a standout compared to its neighbors. But being a 10-story building, you can see how Merit would be a little hesitant to jump off the roof, no matter how much she trusts Jonah. Oh, Navy Pier, the place where Merit and Jonah inspect the turned-black-and- evil water. I love Navy Pier and all of its touristy goodness. It's a haven of shopping, dining, and entertainment. Navy Pier was built as a shipping port and entertainment venue in the earlier part of the 1900s. But before it could be used for anything else, it was used to house Navy Personnel during World War I. That's where the name comes from. It wasn't until my childhood, the 1990s, that it became the venue it is today. There are tons of little touristy shops with Chicago merchandise, amongst other things. Plus some Chicago staple restaurants, including Harry Caray's Tavern and Billy Goat Tavern. There is also Haagen-Dazs ice cream and, of course, Garrett's Popcorn. There is also a Children's Museum, a Ferris Wheel, a movie theatre with an IMAX screen, boat tours of the city, Segway tours, and the Tony award-winning Chicago Shakespeare Theatre. It's a great place for a date or to bring your kids for the day. It's also got some great views. Finally, we come to the scene of Mallory's spectacular magical breakdown and Ethan's (sort of) triumphant return, the Midway Plaisance. The Midway was originally intended to be a Central Park-like place that connected Washington Park with Jackson Park. But after the Chicago Fire burnt down the building where the plans were housed, the money was allocated to the rebuilding of the city. It wasn't until the World's Fair of 1893 that the area was put to much use. During that time, it was used for all of the amusements, dancers, theatrical performances, the Ferris Wheel, and similar things that the fair had to offer, which is where the term Midway comes from for all other fairs and the like today. After this time, the land was returned to being a park and eventually granted to the University of Chicago, which expanded to border the Midway on both sides. This is also where the Chicago Bears get their nickname, the Monsters of the Midway, a name stolen from the U of C's football team. 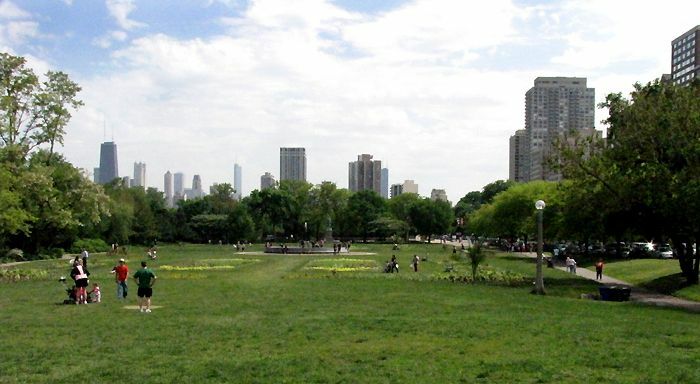 Today the park offers plenty of green spaces, soccer fields, an ice skating rink, and concerts and other entertainment, whenever Chicago's finicky weather permits. There are also plenty of walking paths, and it does connect Washington and Jackson parks, allowing you access to plenty of other opportunities. Because our beloved Merit is a tad bit food obsessed, I couldn't end this piece without mentioning her love of all things Chicago food. And who can blame her? Chicago has great food and tons of it. We've got just as many varieties and options as New York or Los Angeles does. And our pizza is better! As far as I can tell, none of the restaurants mentioned by Ms. Neill exist in Chicago, at least none that I've come across. But the ones in real life are just as spectacular. For pizza, there is Gino's East, Giordano's, Connie's, or Lou Malnati's. For hot dogs, you've got Hot Doug's and Superdawg's Portillo's (also the best place for Italian beef), but the best has got to be Gene & Jude's. We also have our famous Morton's Steakhouse, Gibson's Steakhouse, Shaw's Crab House, and tons of others. In addition to the not-so-famous places that are just as delicious, some of which have been featured on shows such as Man Vs. Food, Unwrapped, and Diners, Drive-Ins and Dives. We also have our own Little Italy, Chinatown, Greektown, and several other ethnic areas where you can get authentic cuisine. In short, you don't need to go to New York or Paris to get great food. Chicago fits the bill no matter what you are in the mood for. I hope you've enjoyed this piece about my beloved city. Obviously, I couldn't hit all of the locales Merit and friends visit, but I think I've hit the high points. Ms. Neill does a great job representing my city, especially for someone who doesn't live here. There are, of course, some inconsistencies. But, nothing overly glaring. Just things that folks who live here would sort of tilt their head at and go "Wait a minute..." Hopefully, the next time you do a Chicagoland Vampires reread, you'll have some visuals in your head and a little more insight into the workings of Chicago. It is a fantastic city, one I am very proud to call my home. And if you ever have a chance to visit, feel free to drop me a line! Did I convince you to love my city? I hope so. Let me know below! I really do love Chicago! 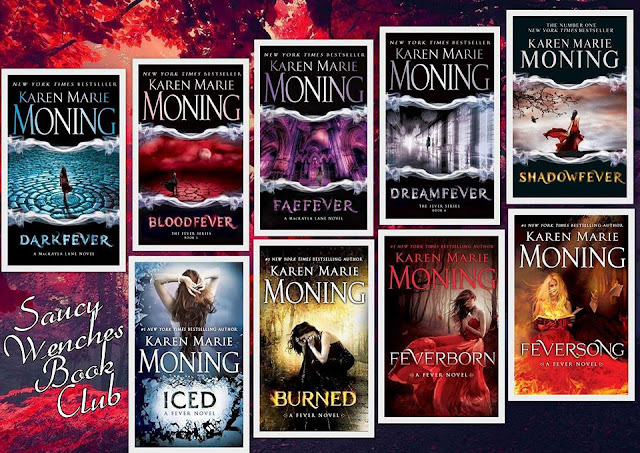 Even though I haven't read the CLV books, I loved this little tour through your hometown. I haven't been back in years and now I want to go even more. Kansas City had cows, too. I'm pretty sure we copied you. I was in Chicago when the cows were out, and it was quite something to see these uniquely decorated cows in the midst of the city both in Chicago and KC. Most of ours were auctioned off for charity, but there's still one or two hanging out on the sidewalks downtown. Cannot wait to see your City and you in a few days! I wish I could do more than just be there for the evening! I miss so many of those sites. I have a few other "Chicago" Loves myself but you covered the high points! I've never been to Chicago other than to change planes at O'Hare, but I plan to get there one day. And when I do, I'm going to take a copy of this post with me! Thanks so much for sharing your town with us. 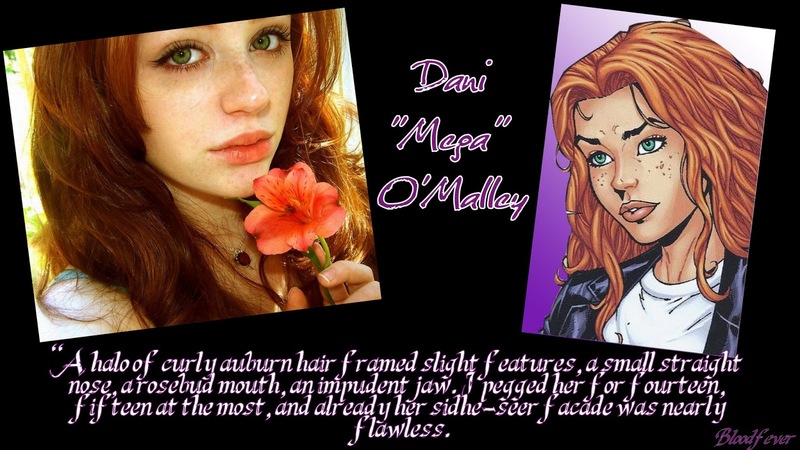 I'm glad this will be fresh in my mind as I read Biting Bad!! I am from Chicago. In fact, I grew up in Oak Park (like Merit). I lived in the city right near Belmont & Broadway which is very near Wrigley field. After attending games and at other times I went to the bars nearby (any number of which could be Grey houses bar). I love the novels anyway but the fact that I am so familiar with the area makes it even more fun. This post is great, Anne! It makes me want to come visit again soon! It's so neat to be familiar in RL with the places that the characters in the books call home.